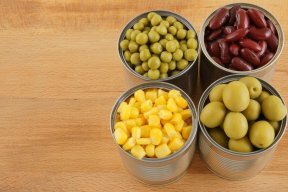 A chemical called bisphenol A — BPA — used in plastic packaging and in the linings of food and beverage cans, may be passed from a mother to her offspring during pregnancy and cause changes in the gut bacteria of the offspring, according to an international team of researchers. 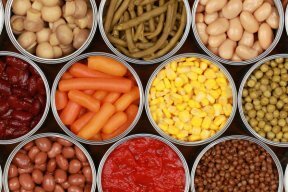 In a study on rabbits, the researchers observed that exposure to BPA during pregnancy caused chronic inflammation in the offspring’s intestines and liver. The researchers also noted signs of increased gut permeability — or leaky gut — and a decrease in the diversity of gut bacteria and anti-inflammatory bacterial metabolites, such as short-chain fatty acids, said Jairam K.P. Vanamala, associate professor of food sciences, Penn State. Leaky gut and decreased gut-bacteria diversity and metabolites are considered biomarkers — or indicators — of inflammation-related chronic diseases, he added. “Obesity and inflammation-promoted chronic diseases like colon cancer and type 2 diabetes are increasing not just in America, but worldwide,” said Vanamala. “We know that many types of cancers are inflammation-promoted, like colon cancer. But, we have not understood what causes inflammation in the intestine and liver. We have previously shown that food is a double-edge sword. Some foods can promote inflammation in the intestine, whereas bright-colored fruits and vegetables, like purple potatoes, can suppress intestinal inflammation. This study shows that we also need to think about the toxins in the environment.” The offspring were not directly exposed to BPA, but received exposure to the chemical from their mother through the placenta and in the milk. This exposure may lead to long-lasting health problems, according to the researchers. “Even though the offspring are not directly exposed to BPA, the inflammation still persists for weeks,” said Vanamala. “What we are seeing is that both intestine and liver tissues are damaged and we see that the gut diversity is low, the anti-inflammatory metabolites are low.” The researchers used rabbits because of their longer gestation period, which is similar to humans. Rodents have shorter gestation periods, according to Vanamala.